The theory delivered reinforces the materials in the online micro-class, digging deeper, using student experiences to further develop the ideas and concepts which lead to high performance. Over the two-days, there are an additional 3.5 hrs of theory delivered as well as 5 hrs of simulation. Over 5 hrs of simulation using a tool specifically designed by aviation psychologists to help develop high performance teams. 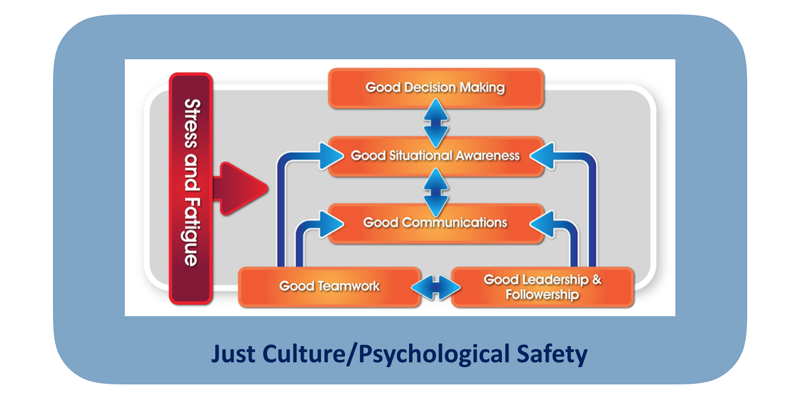 Decision-making under stress and teamwork with co-operation and collaboration are developed. However, as in real life, there are competing goals which have to be balanced. While the some learning happens during the intense-simulation exercises, the real learning happens in the debrief where teams have to focus on specifics for development using a validated framework. There is no hiding and psychological safety is created to ensure critical learning is achieved including identifying goals. "If you think your team is high performing, take the micro-class and find out how much you don't know you don't know. If you want to _make your team_ higher functioning, achieve more, have more fun, take the two-day class. 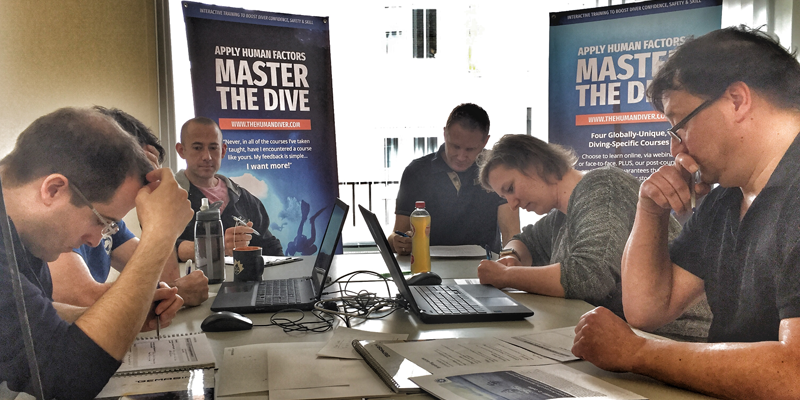 A must for instructors, team divers and leaders of diving projects." 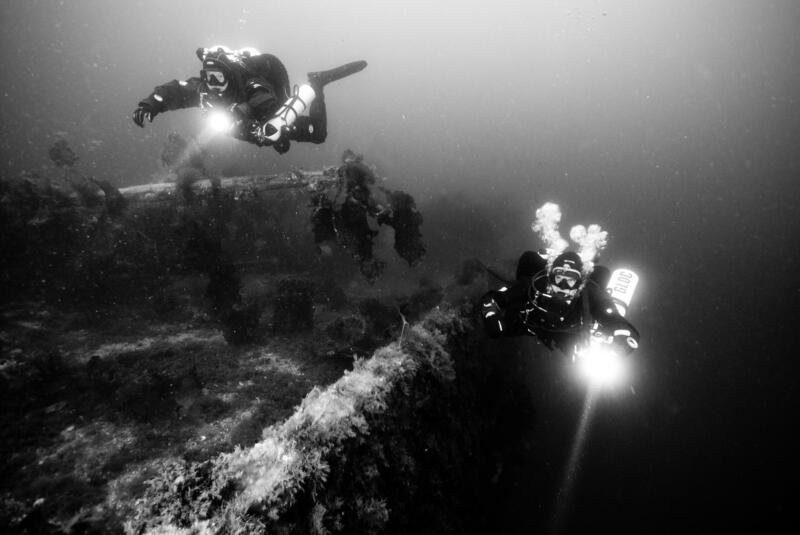 "Over my last class I implemented the use of the checklist on all diving days having the buddy read and confirm to the diver checking their CCR ending in both members signing of on their unit checks, it worked very well and spotted numerous errors, the debrief method we used in class also worked a treat"
"Is the micro-class worth doing? Absolutely. 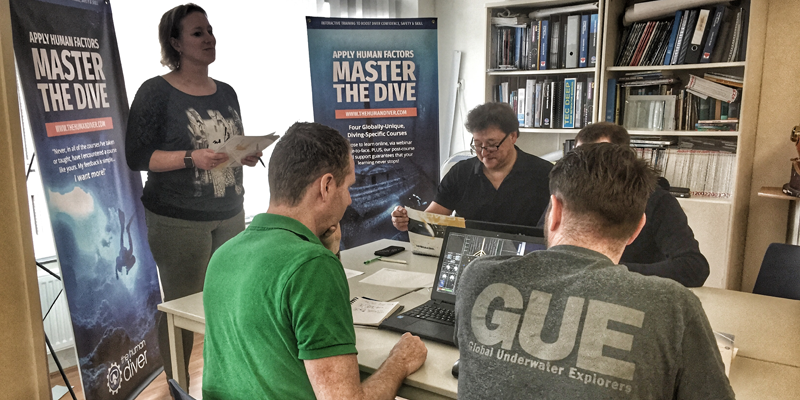 Regardless of agency, current skill set or certification, this course will increase your overall awareness of awareness, stress management and leadership resulting in a more effective individual and team performance, both in diving, and in ‘the real world. " "This programme really focuses on the foundational reasons/factors contributing to enhanced safety/accidents. It really puts the spotlight on what we need to look at to improve safety. Highly recommended for all divers, but especially high risk and leadership divers." What do the classes look like?